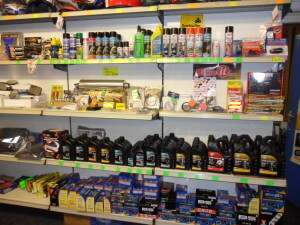 We have a comprehensive parts department stocking items such as NGK Plugs, EBC brake pads, Silkolene Oil, Triple S Gold Chain, Goodridge brake lines, Hi-Flo filters, as well as bulbs, batteries, fuel filters, gaskets etc. 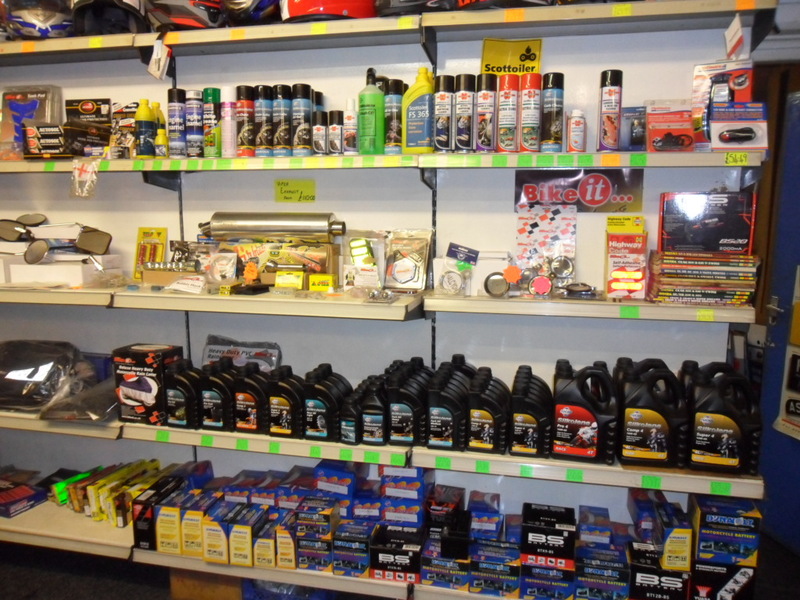 We can supply genuine replacement parts, supply and fit, Dunlops, Michelins, Continentals, Bridgestones and most other brands of tyre. 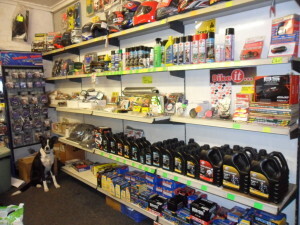 Any items we don’t have in stock are usually sourced on a next day delivery basis. 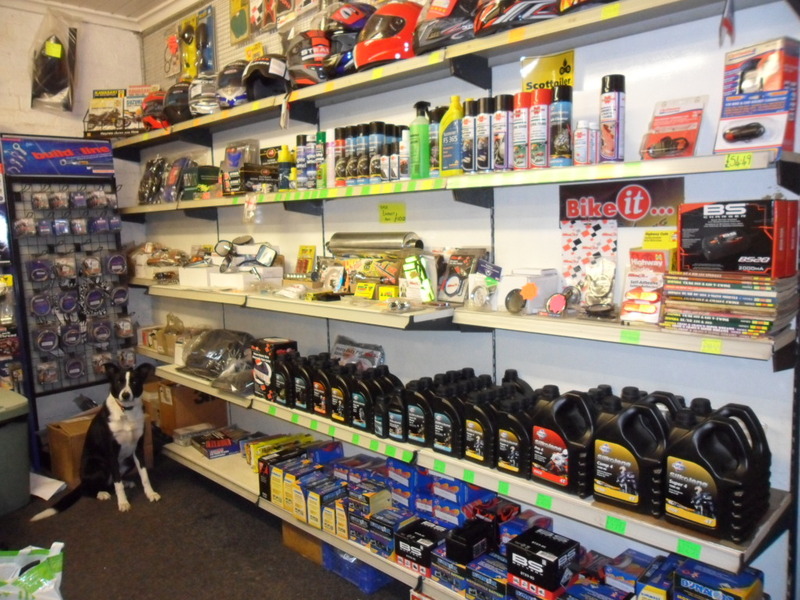 We also keep a reasonable stock of helmets, gloves & accessories such as battery chargers, tank pads, luggage, L Plates, paddock stands, to name just a few.